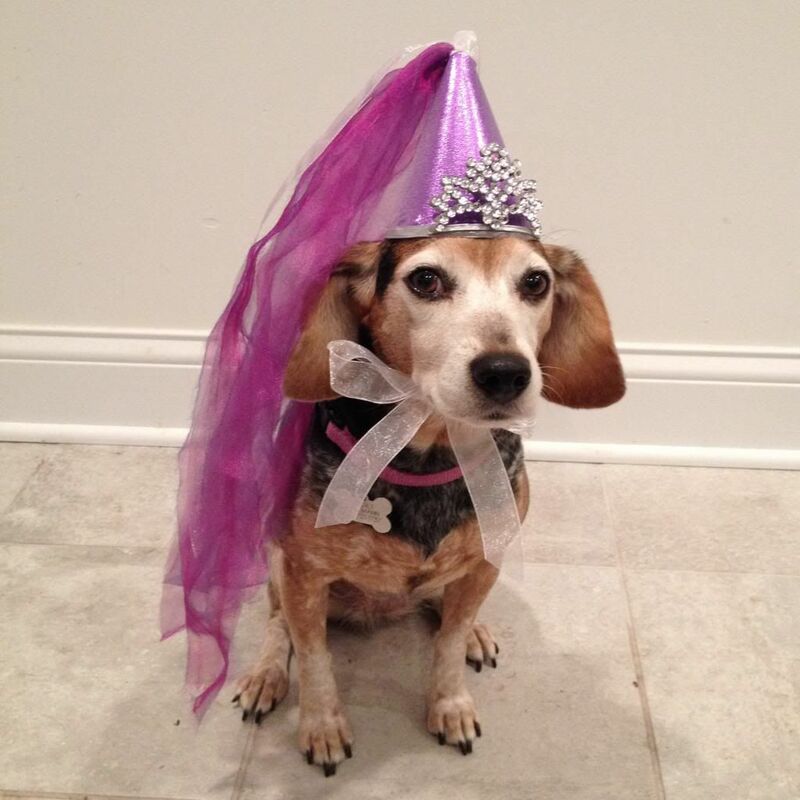 I love torturing my dogs at Halloween and this year I felt Gidget needed a new accessory. 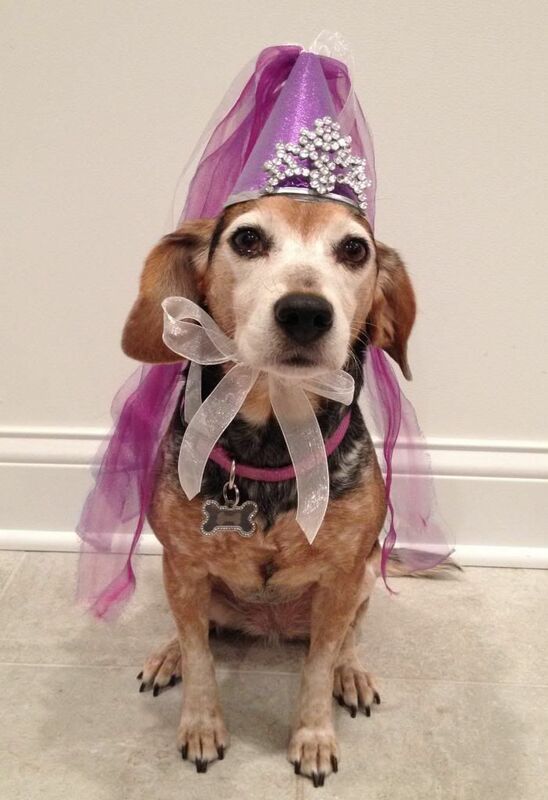 This can easily be adapted for a child or adult that is channeling their inner princess any time of year. 1. 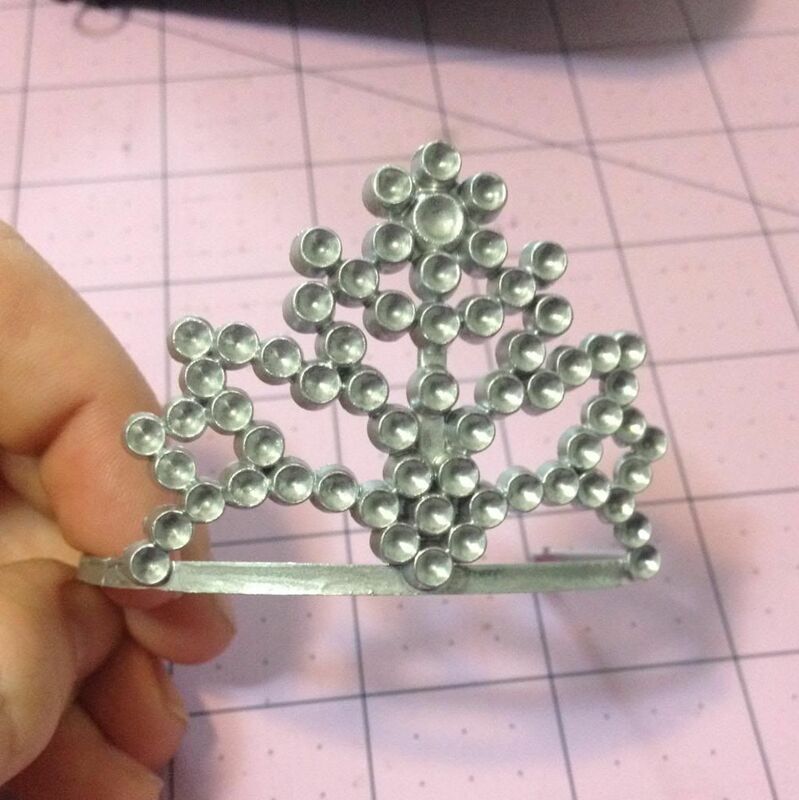 First we are going to make the crown to go on the front of your hat. I cut off the comb and extra plastic so I only had the decorative front and spray painted it silver. 2. 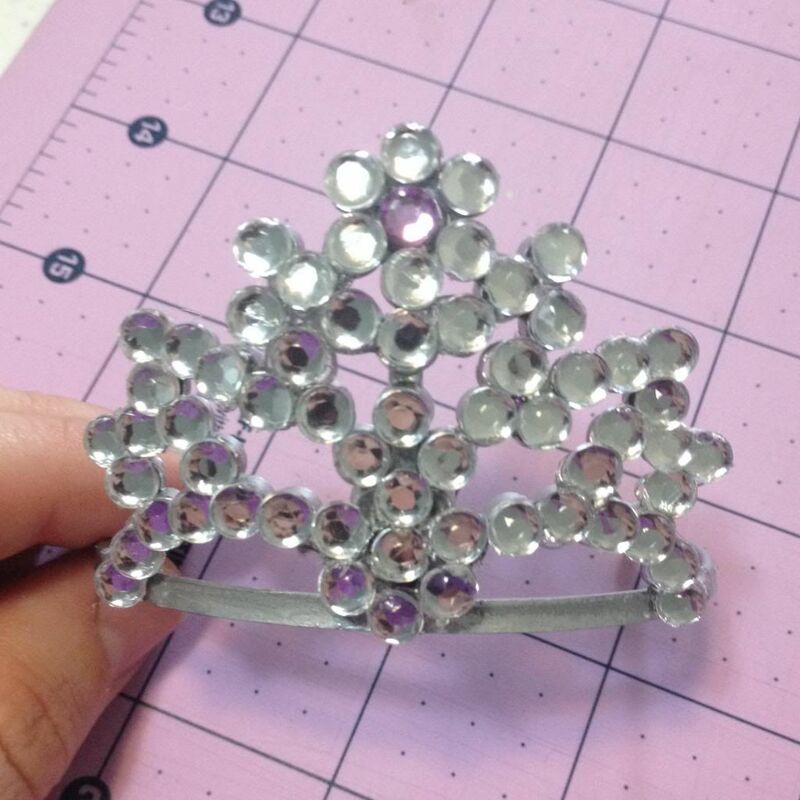 Next take your rhinestones and bedazzle your painted crown. 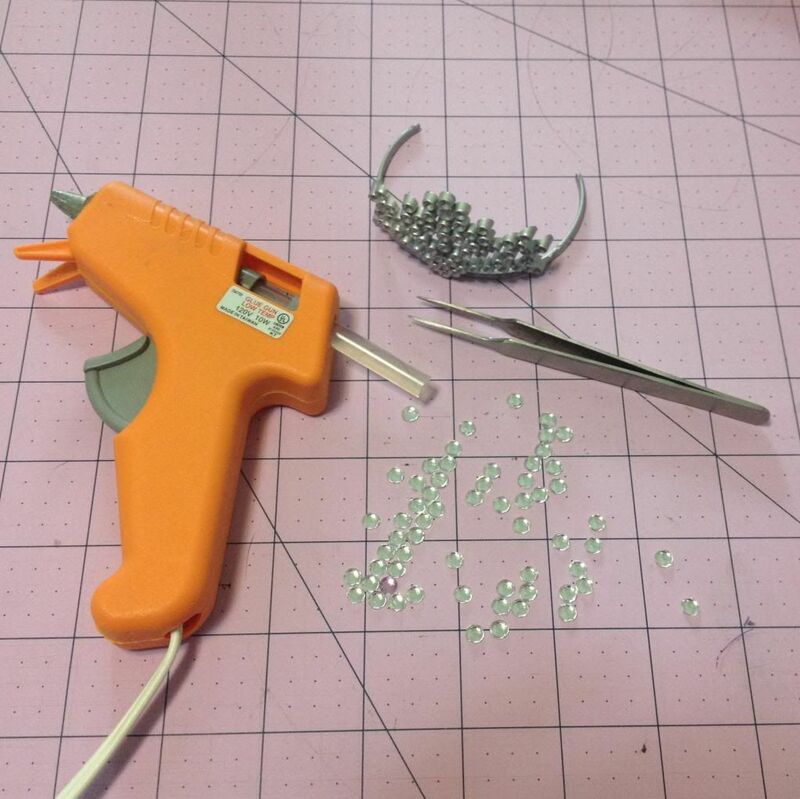 I used hot glue to make them stick really good and a set of tweezers to keep from burning myself. Plus it dries super fast. 3. 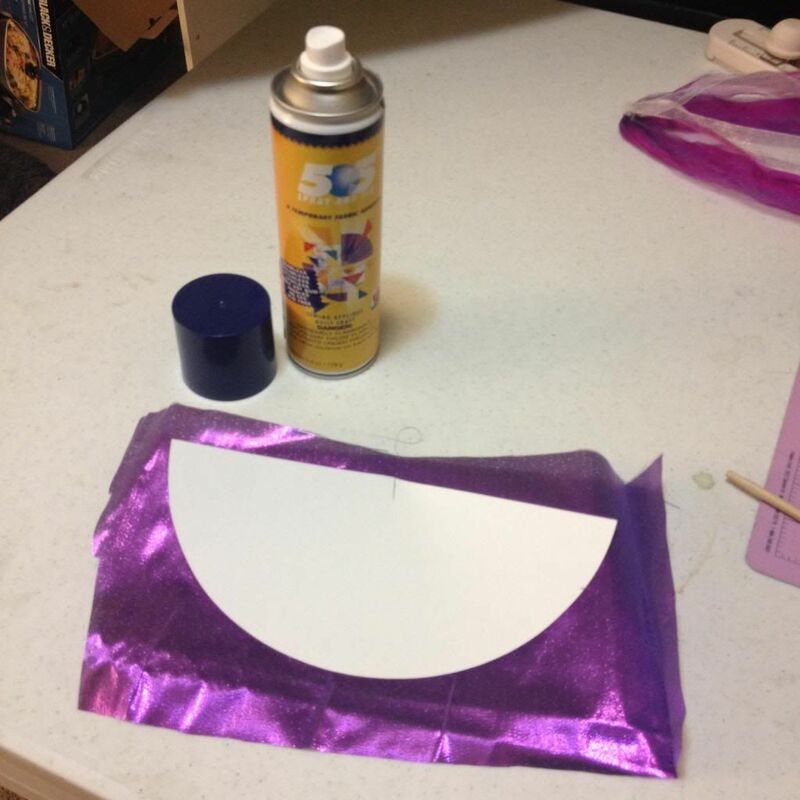 Now you'll need to measure two things, how tall you want your hat to be(A) and how big around the base needs to be(B). 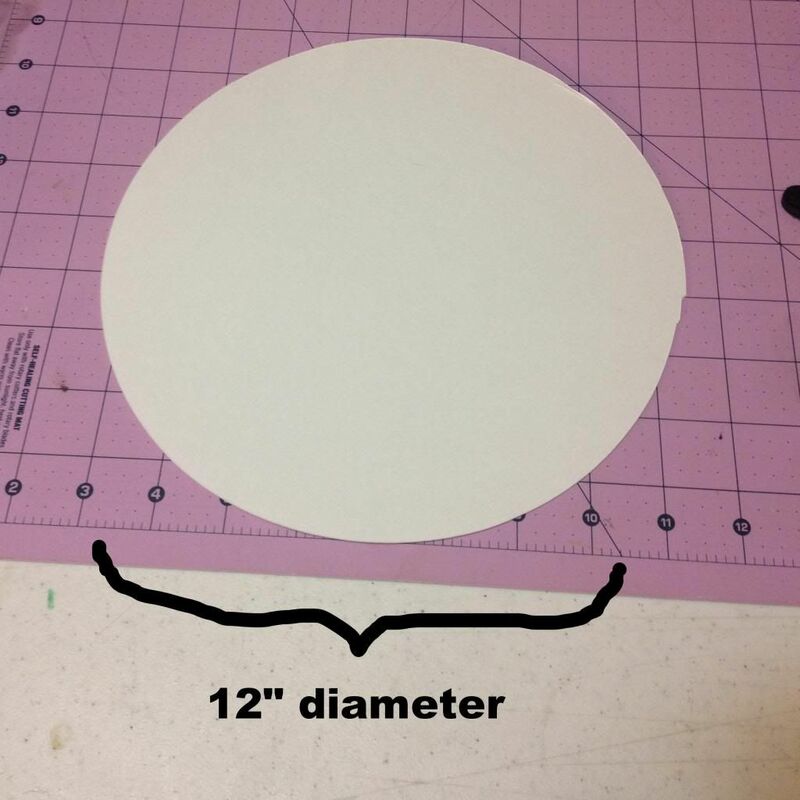 Next draw a circle on the cardstock/posterboard that has a diameter 2 times A. EX 6" tall hat needs a 12" diameter circle. Now cut it out. 4. Now you're going to cut a large wedge out of your circle. 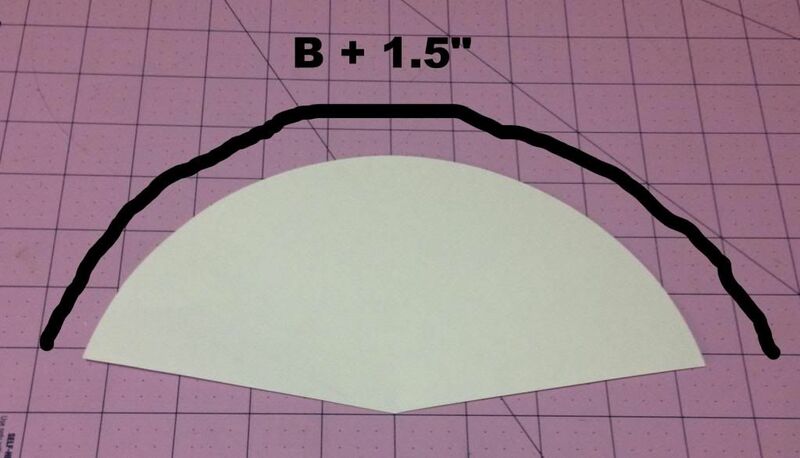 Mark a starting point at the edge of your circle, now from there measure around the edge the length of B plus 1.5 inches and make another mark. Cut from the center to these two points. You will have a wedge like below. 5. 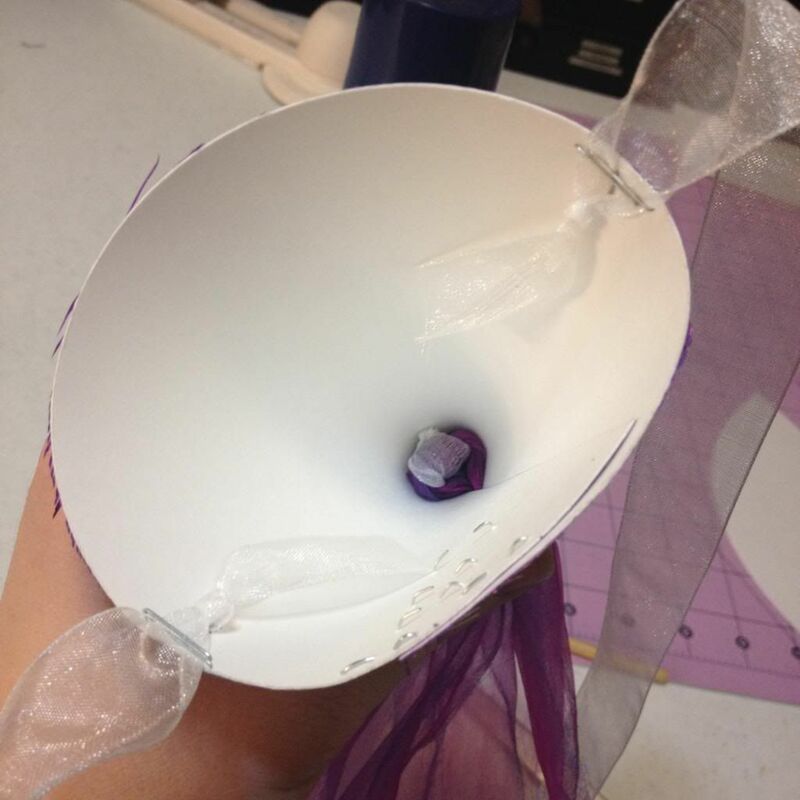 Next glue your paper wedge to the wrong side of your fabric and cut around the excess. 7. We need to add some straps to tie the hat on. Take your organza ribbon and cut two pieces long enough to come down and meet in a bow below the chin. 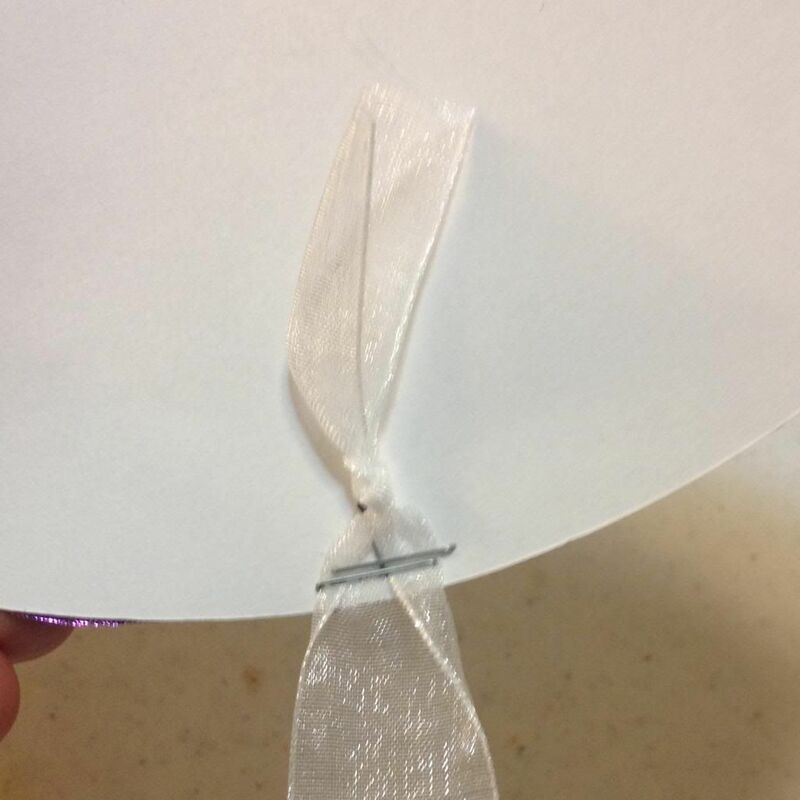 Now tie a knot near one of the ends on each piece and staple it to the underside of your hat spaced evenly. Try to keep the staples close to the edge of the paper so we can cover them later. Also cut a little notch tip of your wedge. This makes room for your streamers. 8. Now we assemble your hat. 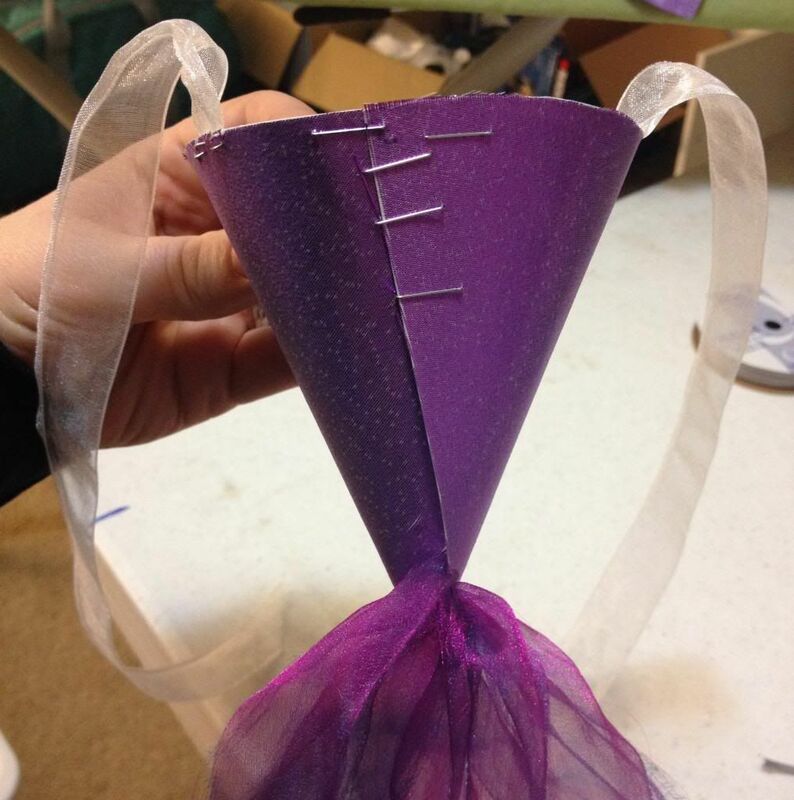 Wrap your wedge around itself to make a cone and staple once at the base. 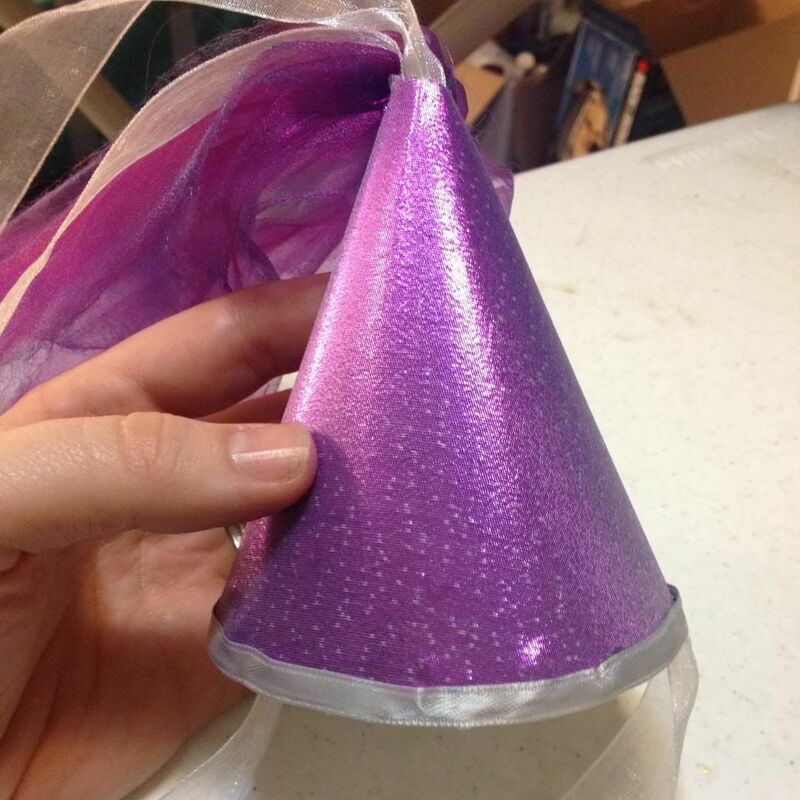 Now slide your streamers through the tip keeping the knot on the inside and staple the rest of the cone closed. 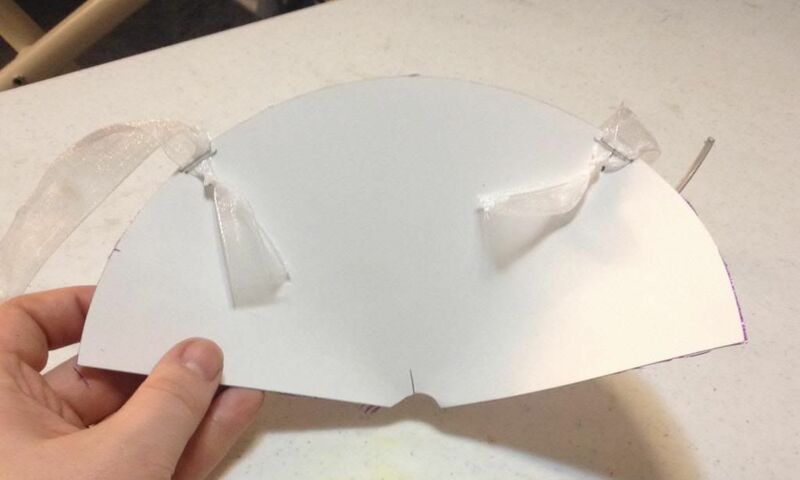 These staples will be on the back so you won't see them but you can always cover them with ribbon. 9. Last but not least we add the bling! 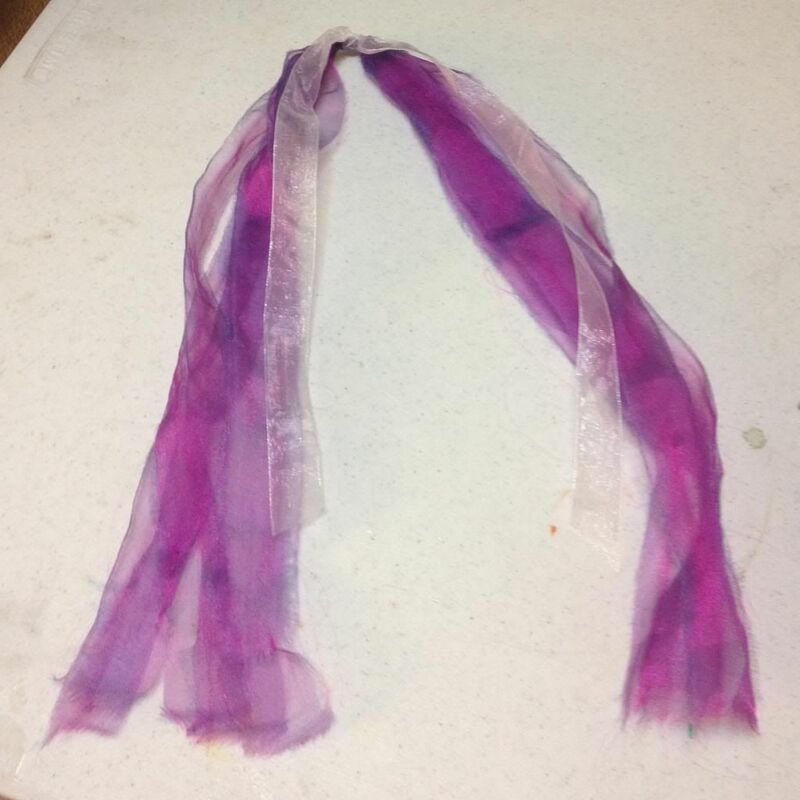 Glue your satin ribbon around the edge covering the staples, meeting the ends in the back. 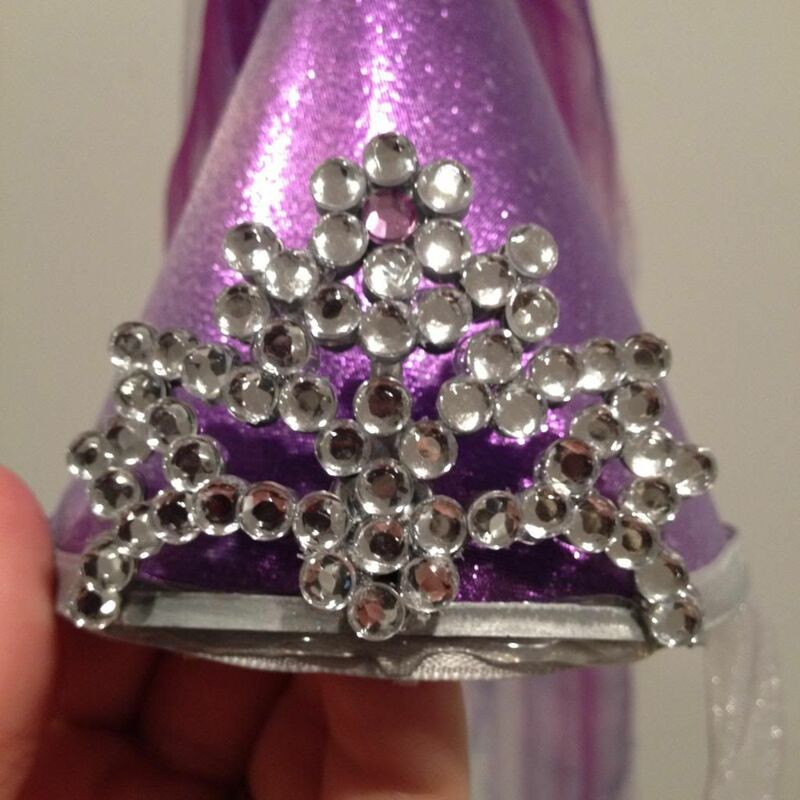 Now apply a generous amount of glue to the front of the hat and stick on your bedazzled crown piece. DONE! 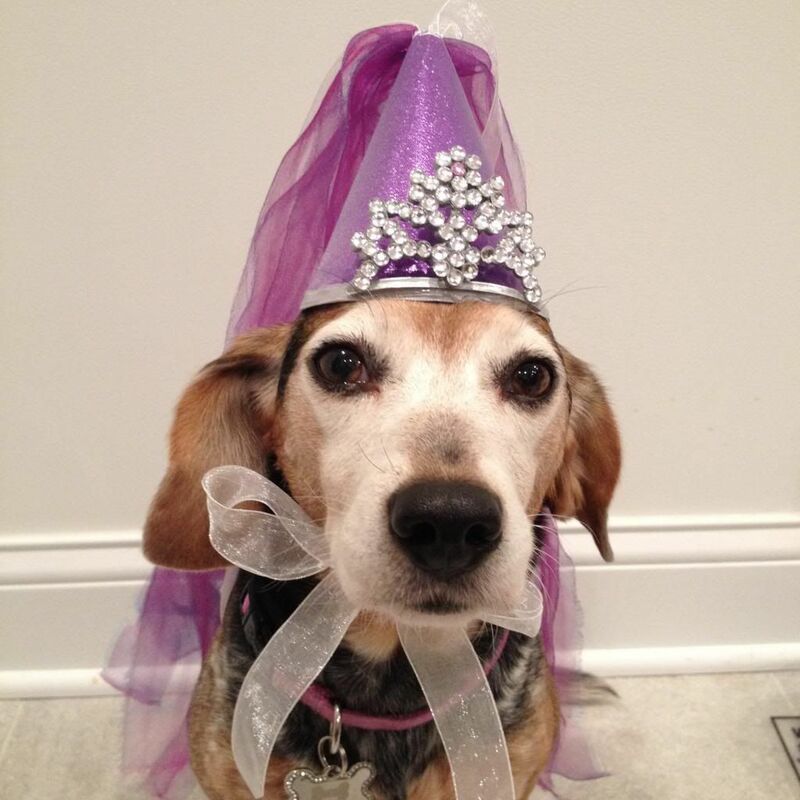 Now you have an adorable princess hat for Halloween or any old time you want to play dress up. Plus it's great for dog shaming. Enjoy!